Learning robotics is fun for both kids and adults, but there’s a bit of a learning curve that everyone struggles with. Mechanical design and construction, electrical and electronic systems, and programming don’t come intuitively to everyone. However, there are some robotics products available now that remove these barriers by providing modular building blocks along with intuitive controls. Robots that can be built by linking identical or compatible modules have been developed by universities and research centers, but this sort of technology has not been easily available to individuals and educators. One company working to change this is Barobo. The Maker Shed carries the Barobo Linkbot, and since I think it’s pretty cool it is one of my top robotic picks for the holiday season. Graham Ryland and Professor Harry Cheng from the University of California Davis Integration Engineering Laboratory founded Barobo to bring their modular robotics concepts to the market. Barobo got some early backing from the National Science Foundation, and then launched a successful Kickstarter campaign. Their modular robotics systems were designed to support STEM education for K through 12 students, but anyone can use them for learning, research, or just for fun. 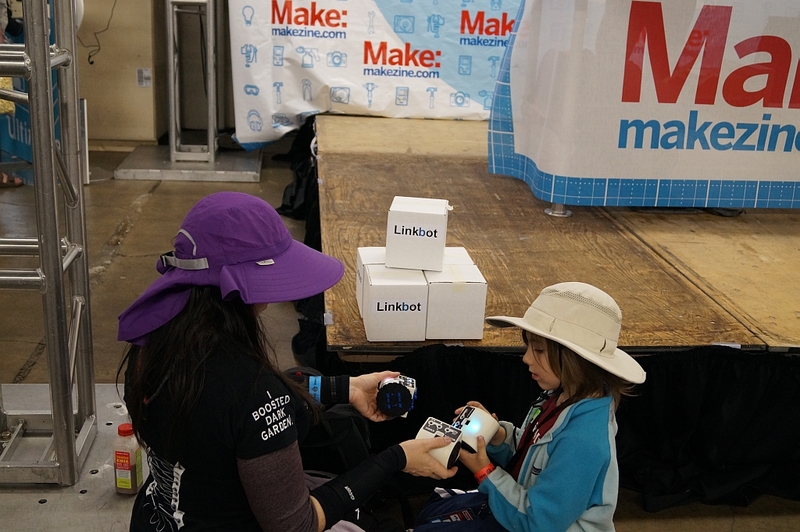 The Linkbot kit is available at the Maker Shed. Additional kits and accessories are available at Barobo’s website, as well as STL files so you can print your own accessories if you want to. See all of our Shed picks here.